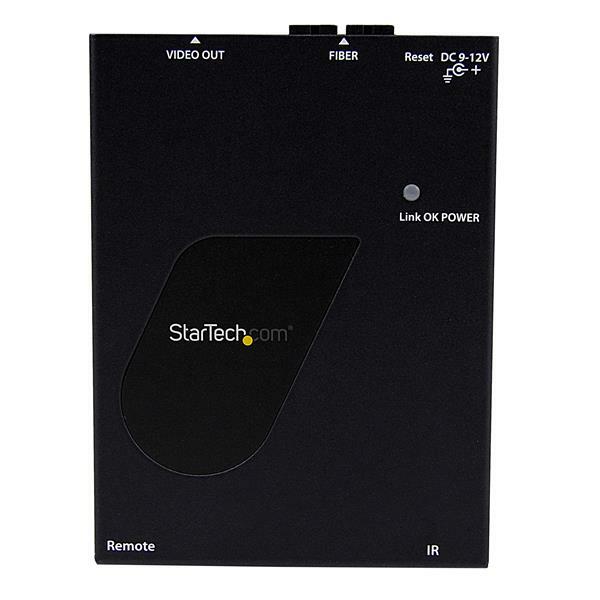 The ST121HDFXA is a long-range HDMI video extender kit that uses SC fiber optic cable to extend video/audio from an HDMI-equipped device to a remote display up to 2600 feet (800 Meters) away. 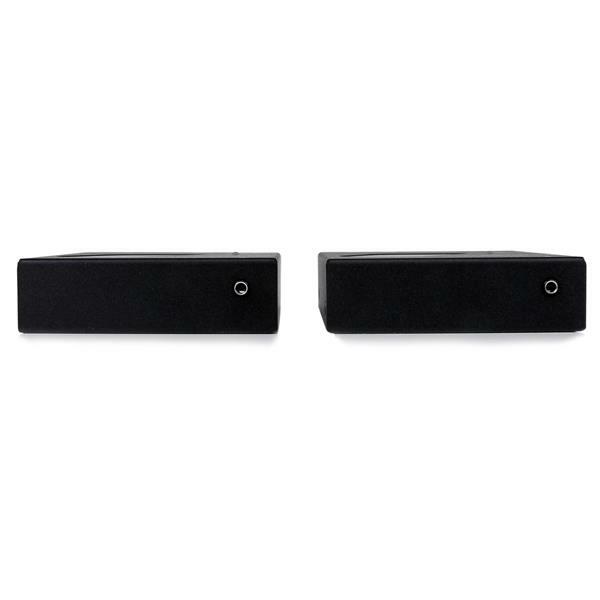 The extender supports full High-Definition video (1920x1200 / 1080p) and includes both the transmitter and receiver, for a complete ready-to-use digital signage solution. Not only is this an incredibly long range solution that can extend an HDMI signal across or between buildings, but because fiber optics transmit data using light rather than copper, it will not cause or be effected by electromagnetic Interference (EMI). For convenient, time-saving control of the media source, the HDMI extender also offers Infrared (IR) extension, which enables you to control the HDMI audio-video source from either end of the connection. 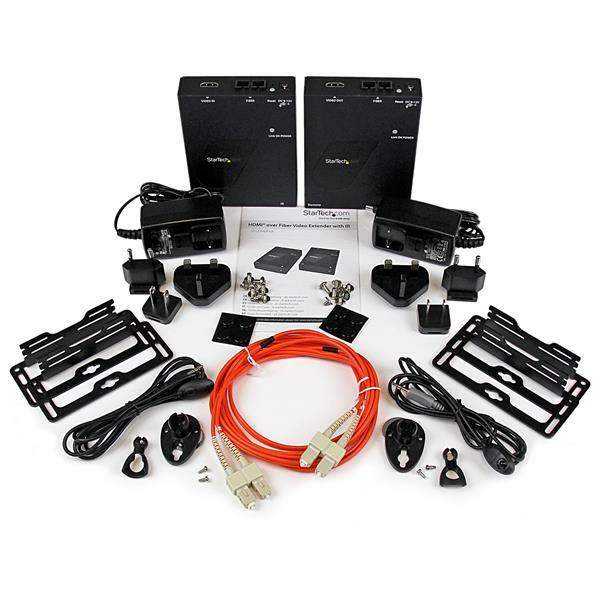 The kit also includes optional mounting hardware for a clean and professional installation. 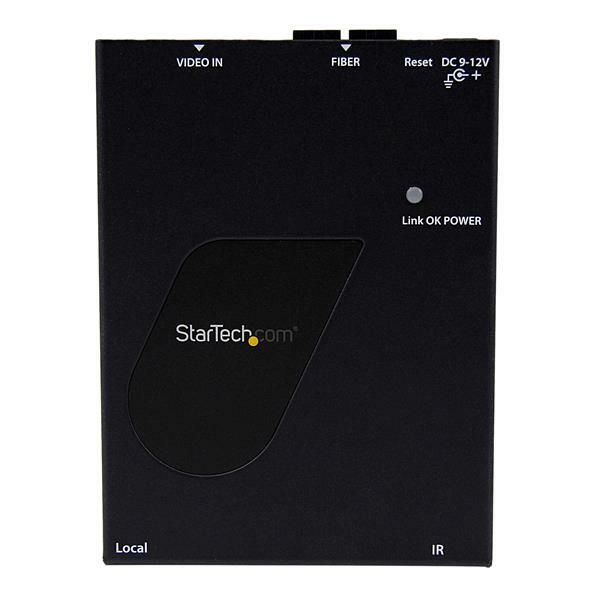 The ST121HDFXA HDMI over Fiber Optic Extender kit is TAA compliant and backed by a StarTech.com 2-year warranty with free lifetime technical support. System and Cable Requirements Multi-mode fiber cabling (50/125 or 62.5/125) terminated with SC duplex connectors, is required to connect the transmitter to the receiver.